Not long after that very first trip to Switzerland in the summer of 2000, my father showed me a picture book on the natural and man-made wonders of the Alpine country. 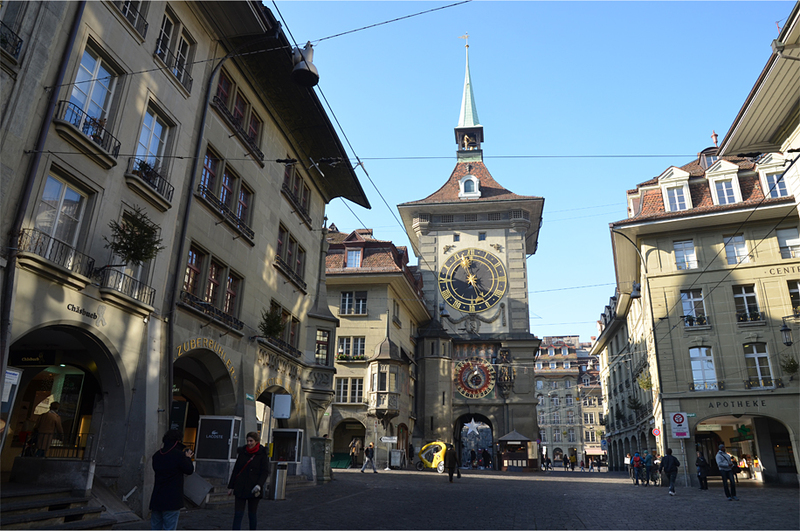 One of the photos that stood out to me most was taken in the medieval heart of Bern, showing a cobbled street that led to the Zytglogge, a whimsical yet stately clock tower capped by a curving pyramidal roof and spire. Ever since then I’d always wanted to visit, though I never did make the effort when I lived in England and Spain. 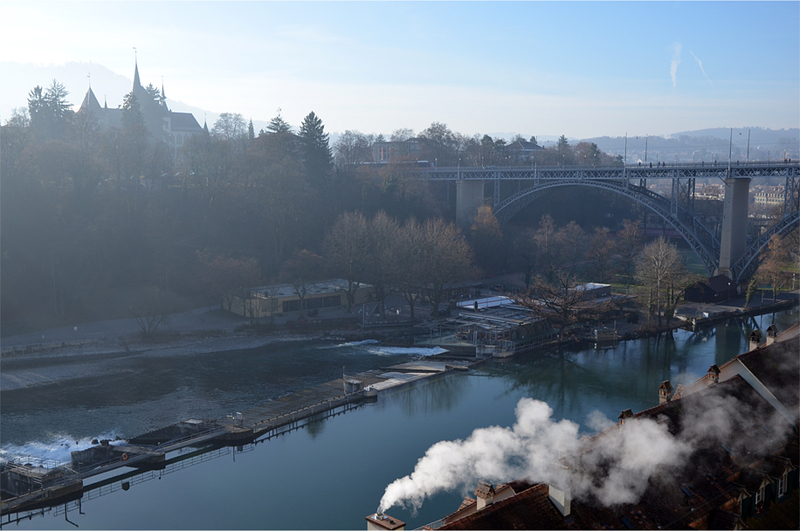 On my Swiss junket last year, Bern was not supposed to be on the itinerary, but unseasonably warm weather had brought a sudden change in plans by the time I reached Interlaken in the Bernese Highlands. An email from the local tourism bureau was deeply apologetic: “I am terribly sorry to tell [you] that I have bad news… most of the snow is gone and we won’t be able to do all the activities we planned initially.” But the disappointment evaporated a few lines later, when I realized they were sending me off to Bern on the final day before flying out from Zurich airport. I was ecstatic. 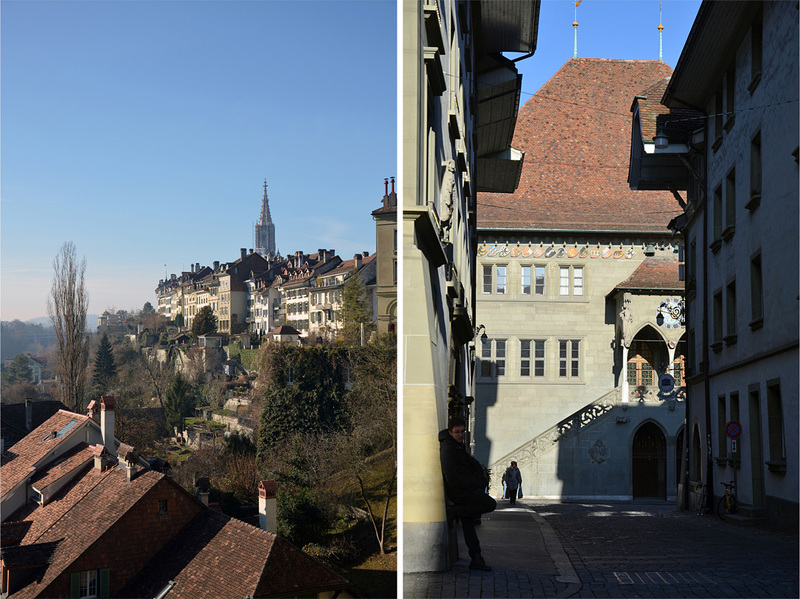 Bern’s history is as colorful as it is long, and the birth of the modern city began with a medieval tale. 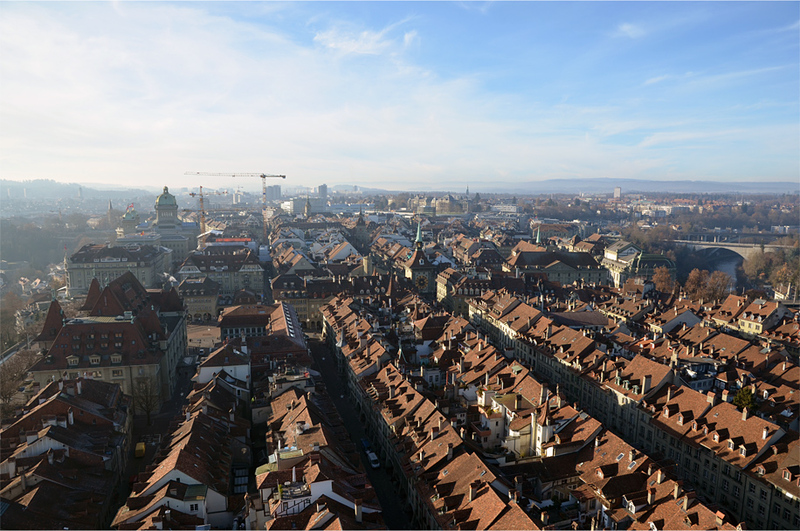 In 1191, legend has it that Duke Berthold V of Zähringen, the founder of Bern, vowed to name his new city after the first animal he encountered while hunting in the woods where it would eventually be built. His party caught a bear, and so began a long-running association with the animal. The word for “bear” in Bernese German is bär, while the name of the city is Bärn. 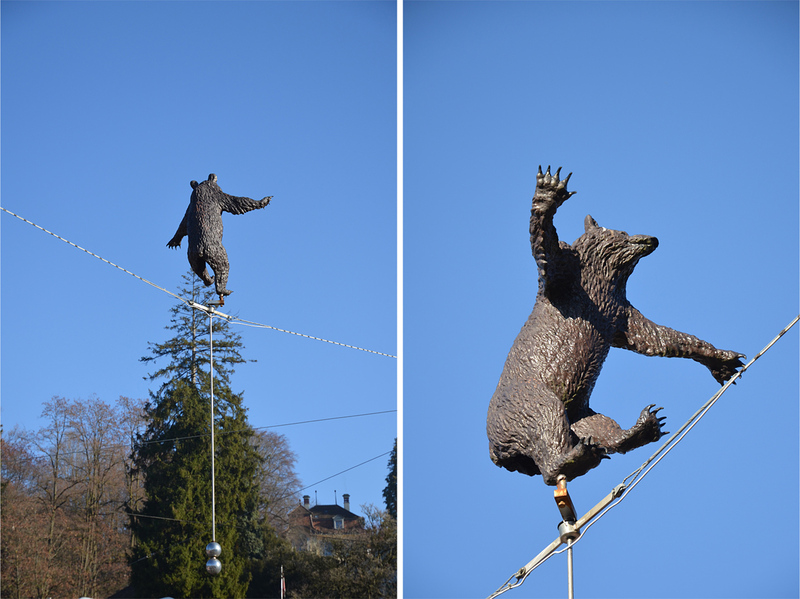 From the beginning, a black bear has featured prominently on Bern’s coat of arms (along with that of its canton), and in a tradition that has endured since the early 16th century, the city has kept a small number of bears as a local attraction. Perhaps the bear is an apt illustration of Bern’s historic strength. 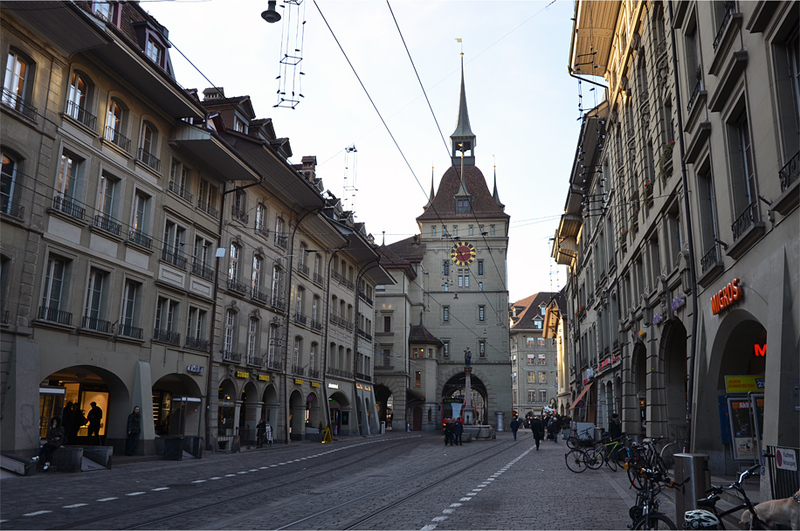 The growing town became a self-ruling city under the Holy Roman Empire, and a permanent member of the Old Swiss Confederacy after forging an “eternal” alliance with the other cantons in 1353. 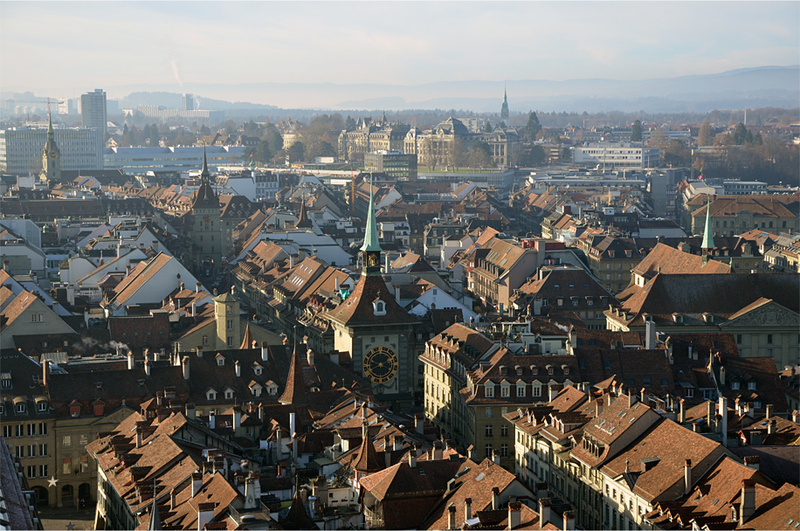 Through a series of land purchases and military conquests, Bern eventually grew to become the largest and most powerful city-state north of the Alps. 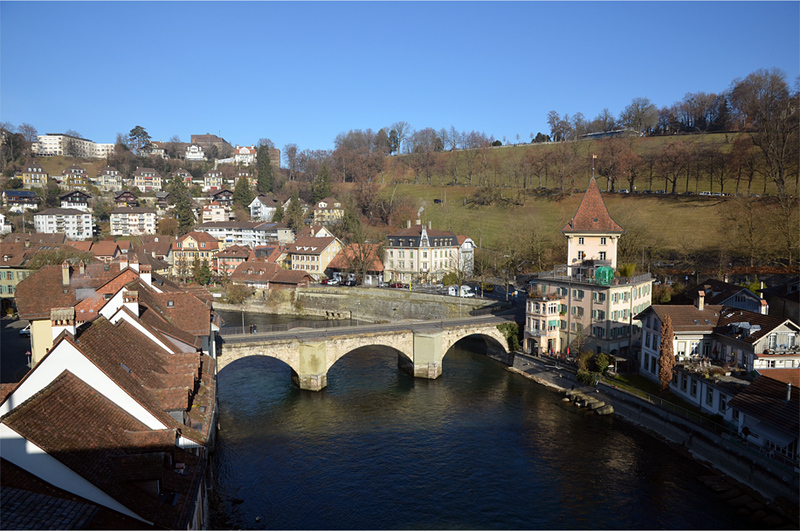 Thun, the gateway to the Berner Oberland (Bernese Highlands), was bought in 1384, and over the next two decades Bern would consolidate its control over the rest of the Alpine region. In 1415 the city-state’s armies marched into the fertile lands of Aargau to the northeast. 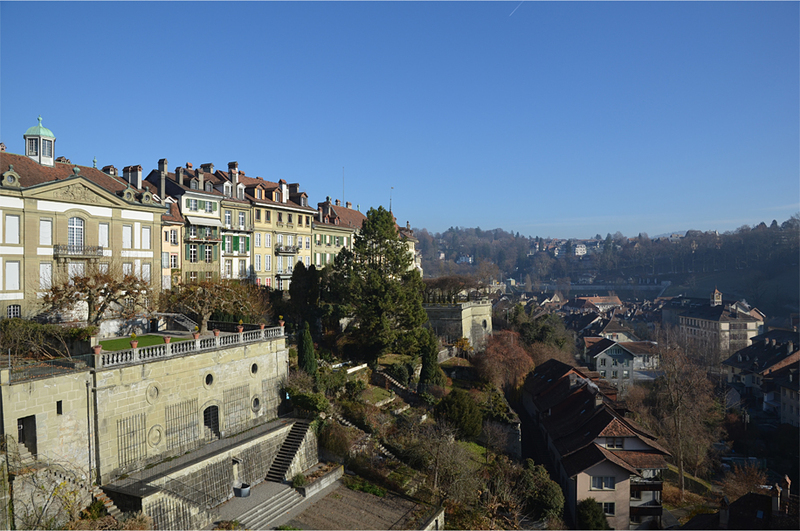 By 1536, newly Protestant Bern annexed the French-speaking region of Vaud, accelerating the conversion of its Catholic villages, towns, and cities (including Lausanne). At its greatest extent in the 18th century, the Bernese realm stretched in a U-shaped arc from the far western shores of Lake Geneva to the high Alps and the lower reaches of the Aare, just shy of the modern frontier with Germany. 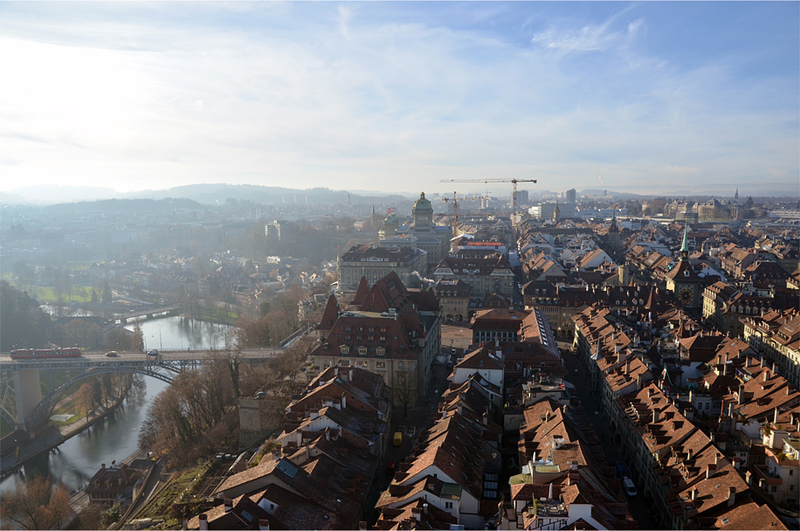 But the French Revolutionary Wars witnessed the occupation of Bern (and the rest of Switzerland) by foreign troops, and the once-proud city-state was stripped of its major territorial gains. Vaud became an independent canton, as did Aargau. 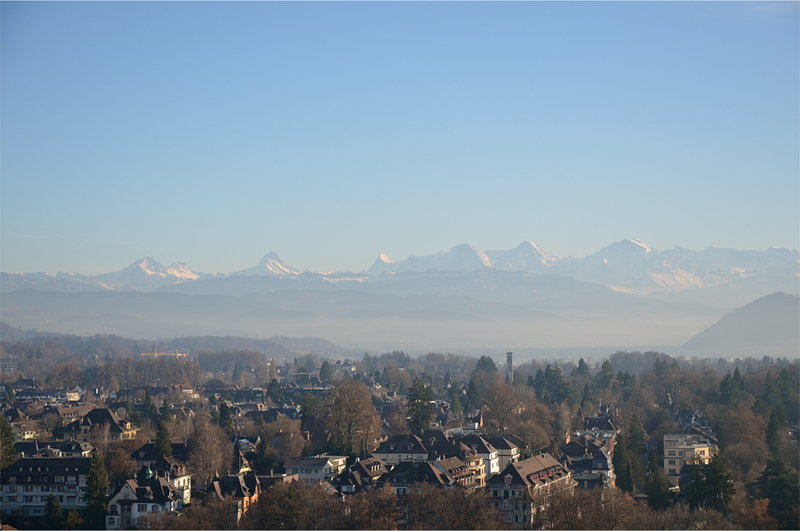 The Bernese Highlands were briefly split off to form the canton of Oberland with Thun as its capital, though they were reunited with Bern after the re-installment of the Swiss Confederation in 1803. 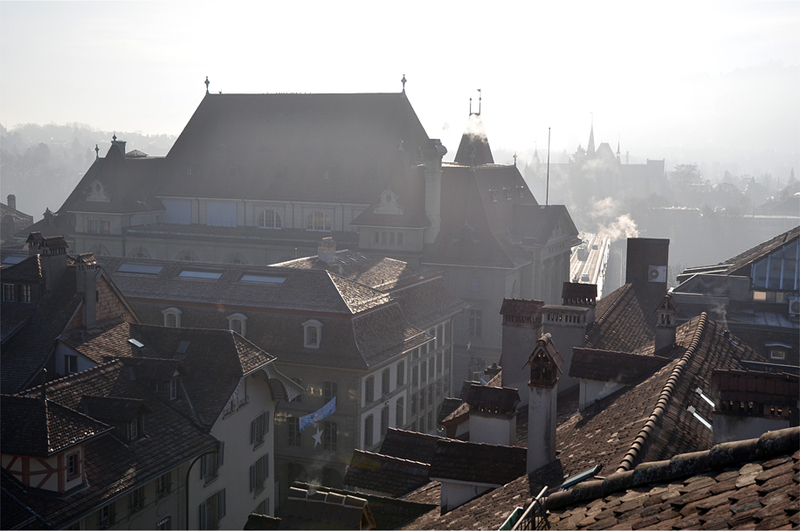 Bern’s fortunes would change forever in 1848. 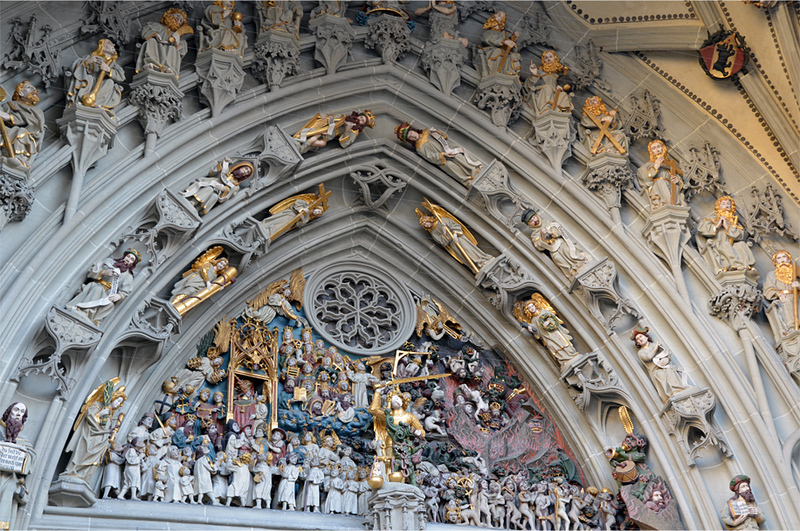 That year, Switzerland became a federal state following the short-lived Sonderbund War, in which seven Catholic cantons tried to break away from the confederation. The two chambers of parliament each held a vote to designate a federal capital, with three predominantly Germanic cities in the running: Luzern, Zürich, and Bern. 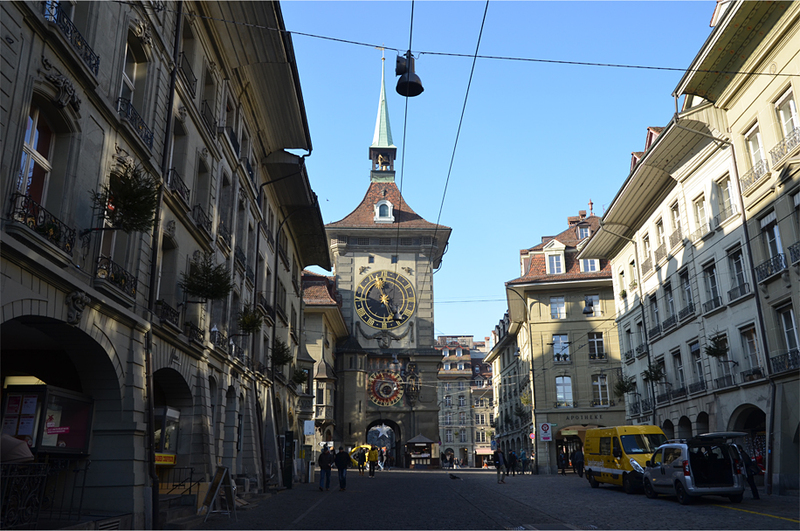 Despite its importance throughout Swiss history – and its location close to the country’s geographical center – Luzern had recently served as the rebel capital. Zürich, on the other hand, was too far north and too economically dominant. 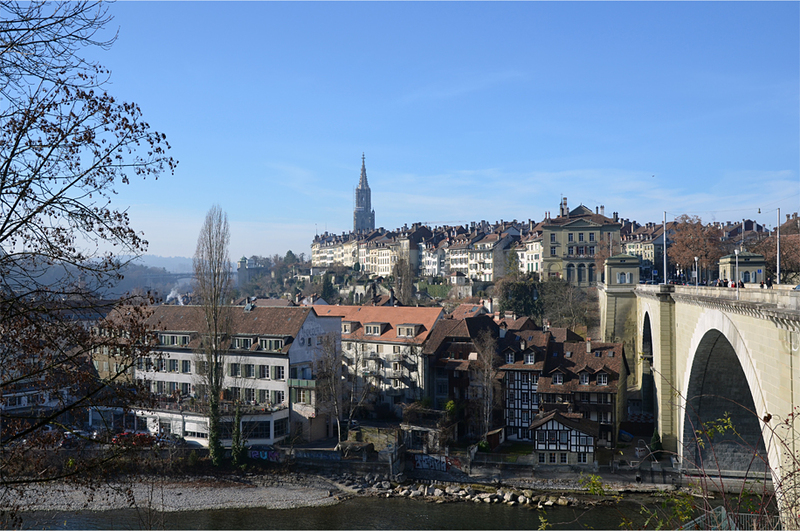 Bern was a natural choice, being much closer to the western French-speaking cantons in an area well-protected by the Swiss Army. Fast-forward to the present, and Bern’s past glory is plain for all to see. 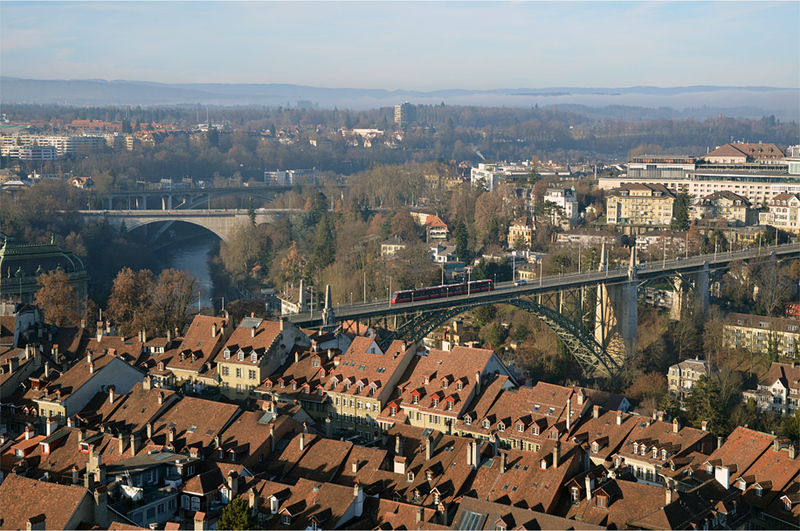 Anyone arriving by train, as I do, will be struck by its dramatic location atop high ground encircled on three sides by the Aare River, a trait that made it easily defensible in medieval times. You can spend hours wandering the UNESCO World Heritage-listed old city, where the cobbled streets are lined with sturdy stone arcades called lauben. 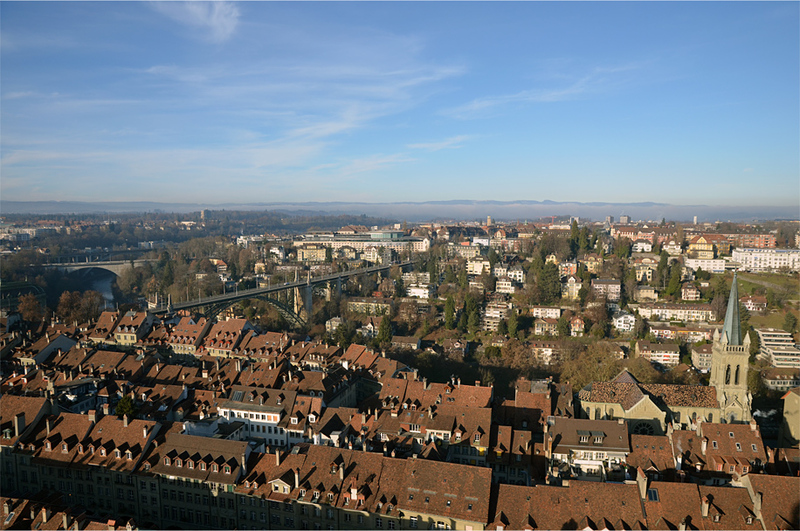 Bern largely owes its current appearance to a great fire in 1405 that almost completely destroyed the town; its wooden houses were rebuilt in sandstone. 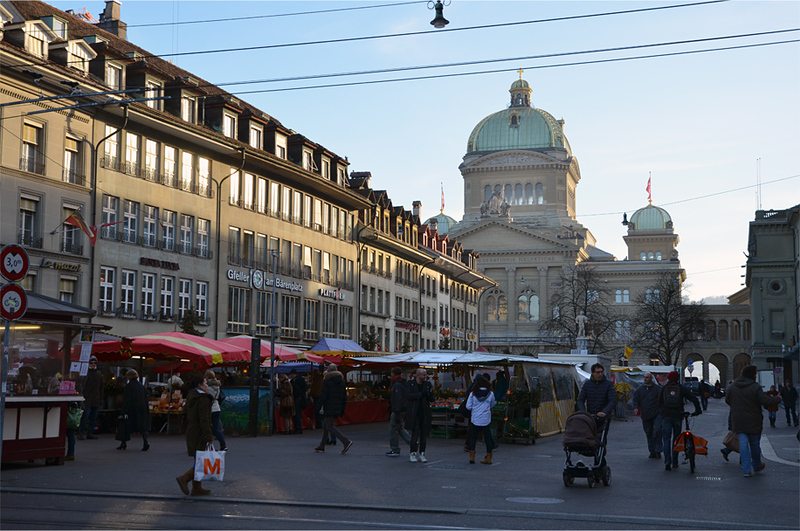 An easy walk from the train station brings me to Bärenplatz (“Bear Square”) and the imposing Swiss Parliament. Constructed in stages from 1894 to 1902, it’s a palatial series of buildings, done in a mélange of neoclassical, Renaissance, and other historical styles. The lettering engraved below its pediment explains a common acronym used in everything from the currency code of the Swiss Franc (CHF) to Switzerland’s top-level internet domain (.ch). Despite the appeal of its two most famous edible exports, CH does not stand for “cheese” or “chocolate”, but Confoederatio Helvetica, the Latin phrase for “Swiss Confederation”. In a nod to the very Swiss idea of neutrality, the acronym was chosen because it does not show a preference for any of the country’s four national languages. 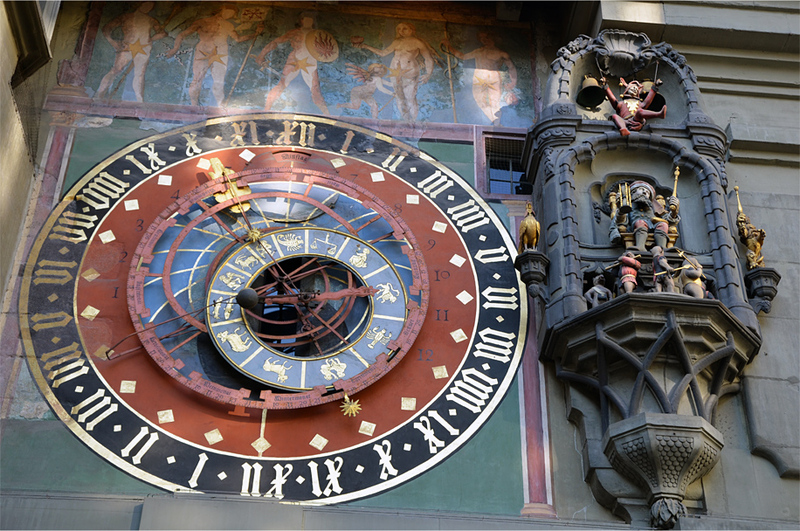 But Beatrice doesn’t seem slow at all, and we are in a hurry for an appointment at the Zytglogge, the 800-year-old clock tower that captured my imagination all those years ago. Formerly a gateway that marked the western boundary of the city, it gained its current function in the 15th century, after another chain of walls was built further out to accommodate a growing population. Much to my surprise, Beatrice has a key to a small door at ground level, and I am ushered up a spiral staircase and into the cool interior. 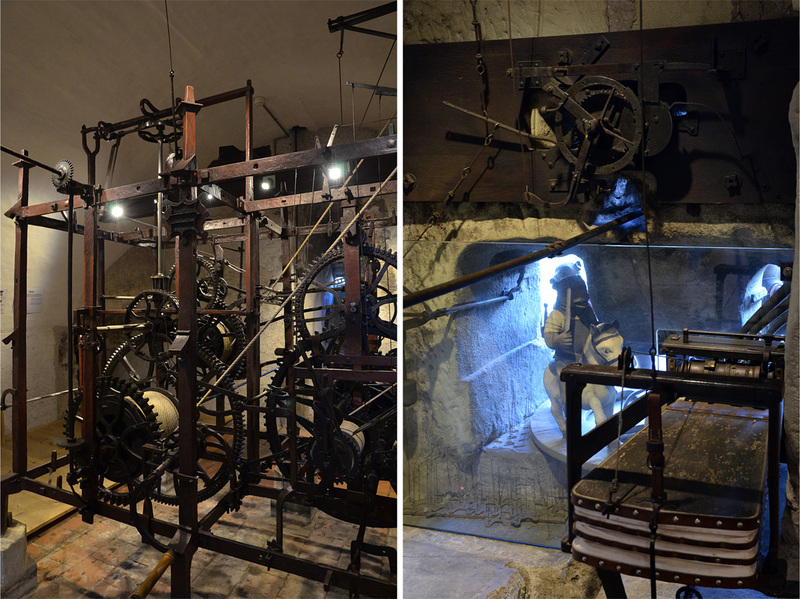 It is a fascinating look behind the scenes, and I’m awed by the original mechanism with its “cannonball” pendulum, not to mention an ingenious system of ropes, cogs, and all sorts of moving parts. There are even bellows to create the sound effect of a crowing rooster, one of many mechanical figures that include a procession of bears in medieval dress. 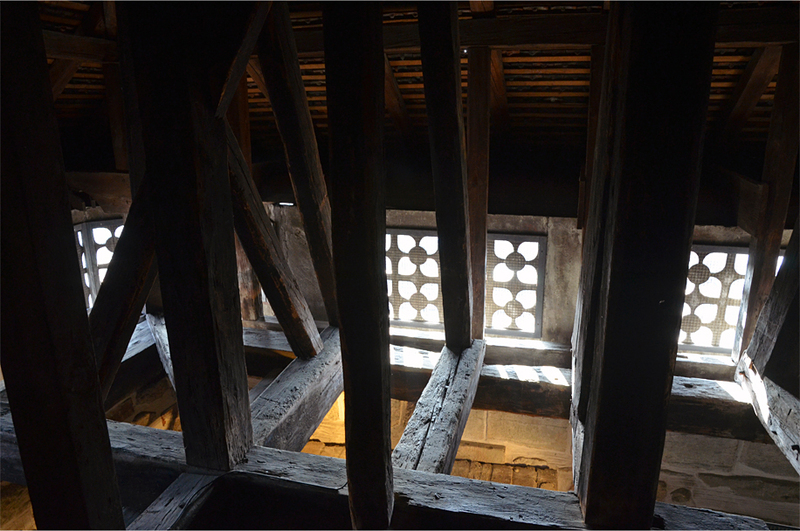 Upstairs, a series of models show the Zytglogge’s architectural evolution, and then we venture into the attic, where two windows open onto the rooftops of the old city. 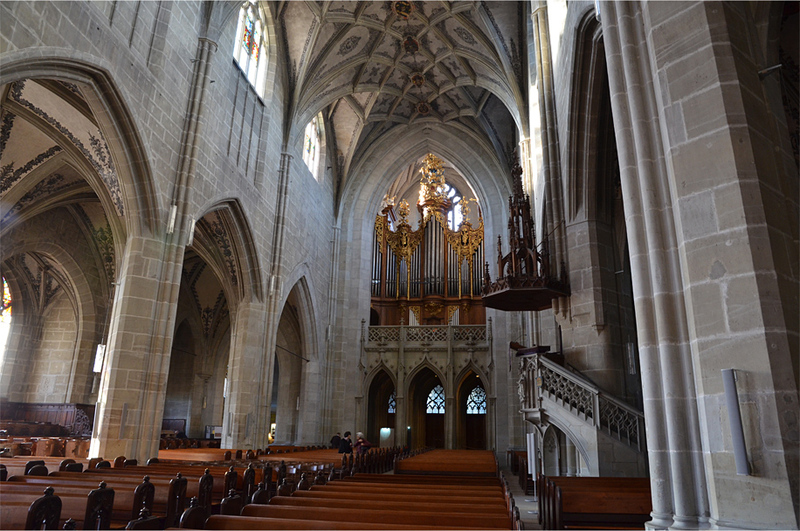 After a long, relaxing lunch on the opposite bank of the Aare, I have just enough time to visit Bern’s impressive Gothic cathedral (or Münster). 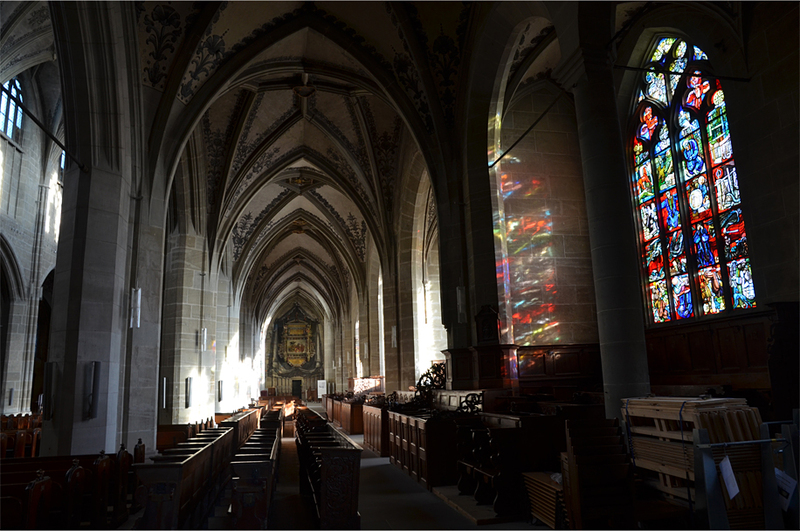 Inside, the nave is pared-down and bereft of any colorful decoration. 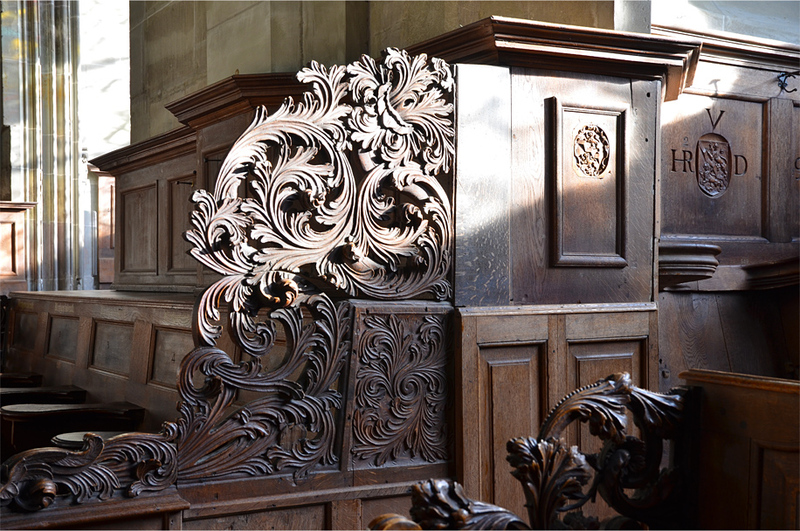 It has a strict Protestant feel that seems to persist even in modern times – after I take a few pictures, a clergyman warns me that no photos are allowed despite there being no religious service. 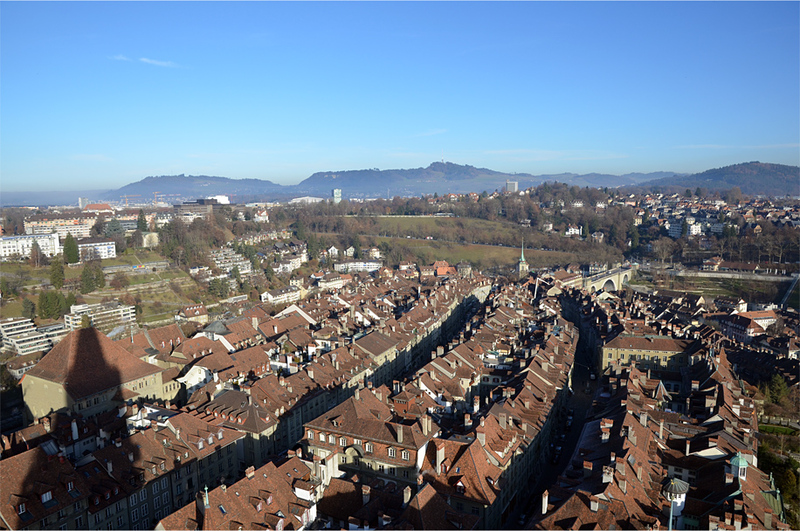 But I am really here for the view, and so I ascend the 344 steps from the souvenir shop to the steeple, Switzerland’s tallest at 100 meters. Like many great medieval churches, the Münster stood unfinished for centuries until 1893, when the spire reached its final height. 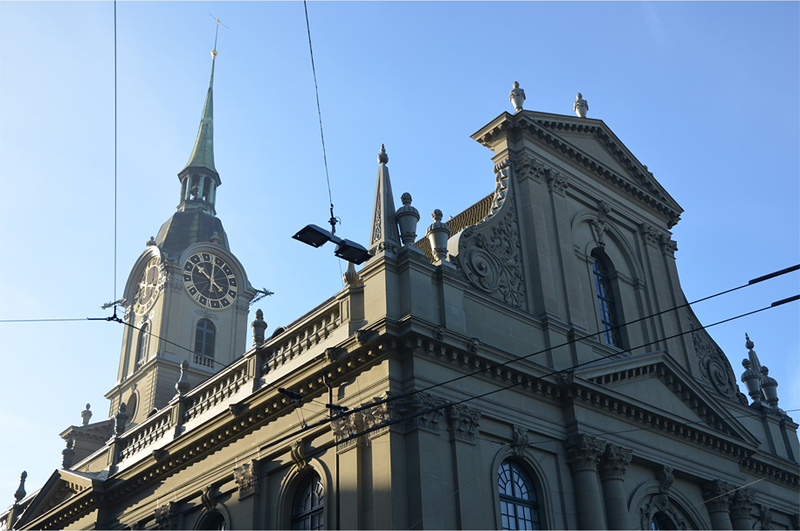 The soaring bell tower bears a striking resemblance to that of Ulm Münster in Germany, and this is no accident: Bern cathedral’s master builder, the gifted Matthäus Ensinger, was the youngest son of the architect behind Ulm’s ambitious steeple. I like the story about the bear! 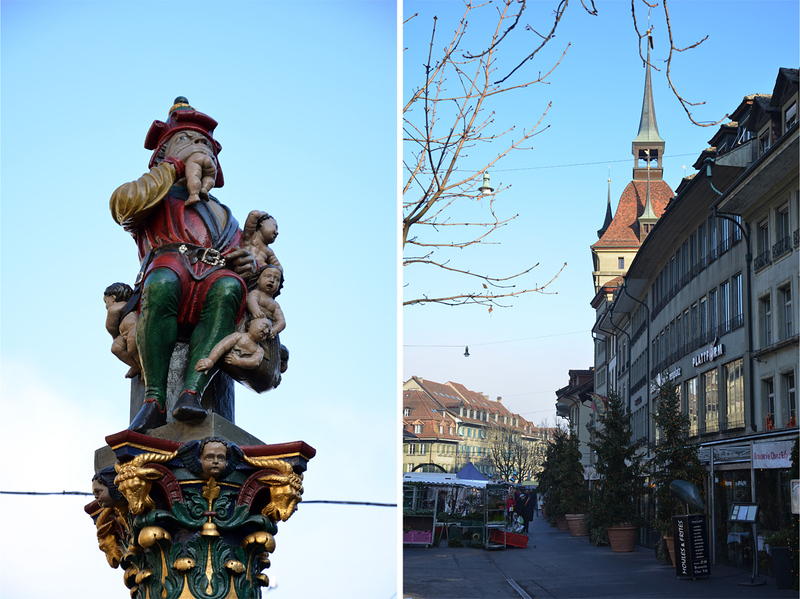 And the weird fountain with the childeating monster… And the townhall, the cathedral , the view on the mountainside! 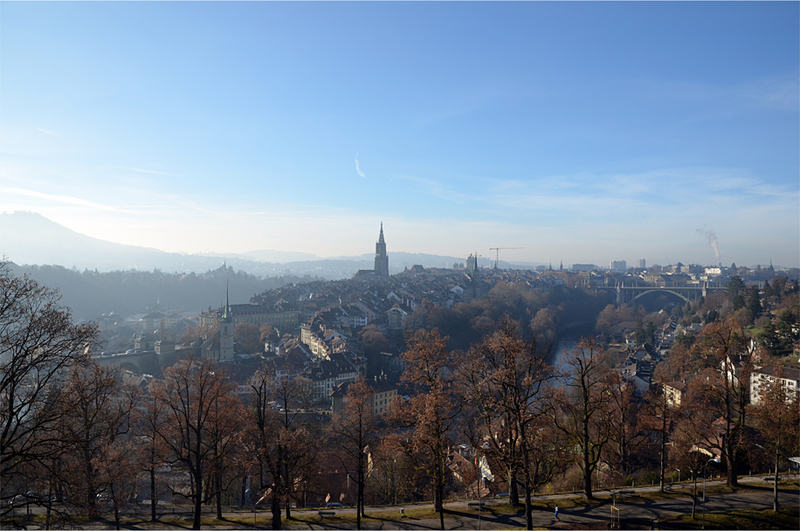 In short: Bern seems to me an interesting city to explore ;). Thanks for the information! What a great story and series of photos James! Any future travel plans coming up? Thanks Nicole! I’m planning a week-long trip to Vietnam with Bama this April. It’s going to be a treat after the craziness of the last few months at work! James isn’t it interesting how our childhood dreams stay with us for decades. Well in your case maybe just a decade. 🙂 been looks extraordinary. Thanks for the tour which I enjoyed very much. Ha, I am not all that young, Sue! These are actually the last few months of my 20s. 🙂 Thanks too for reading what was a very long post! 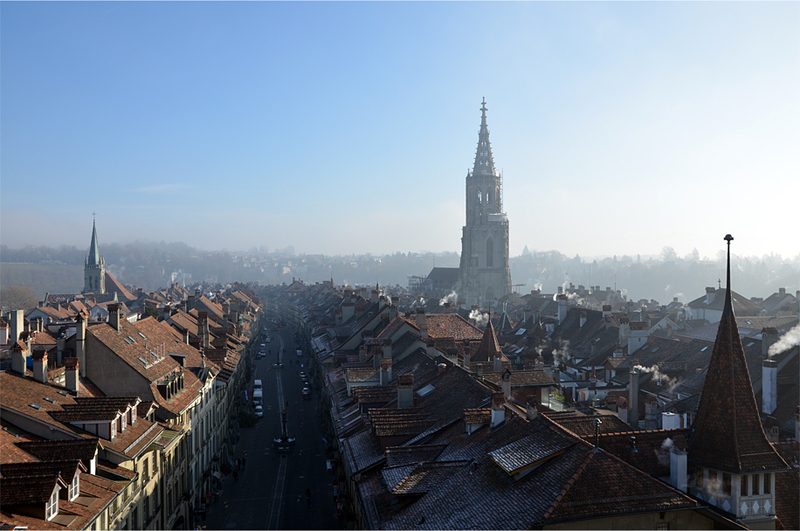 I’m not sure how Bern has remained under the radar for all this time – it is such a fascinating and beautiful place. What an intriguing story about Bern’s history, James! And beautiful shots too. 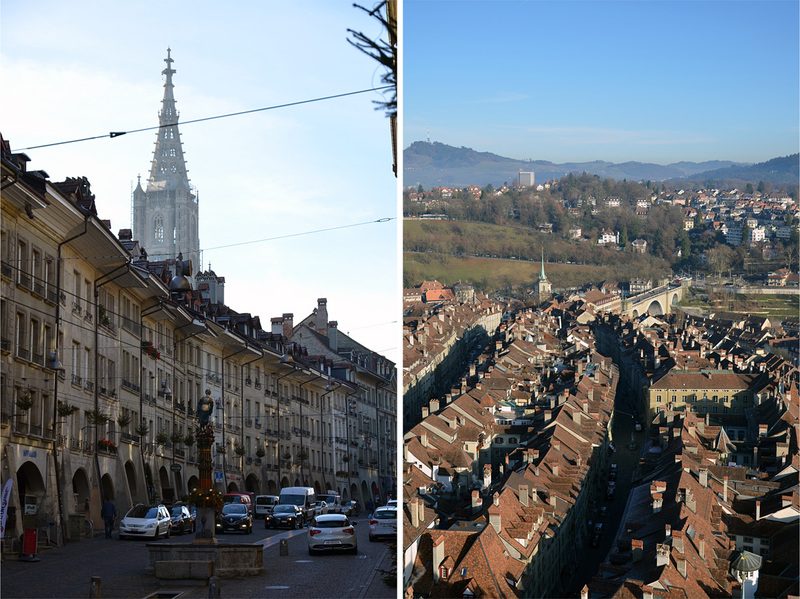 It’s always fascinating to read about the history of Europe, especially to learn how places like Bern managed to leave its sectarian struggles to the past and move forward as a modern society. That child-eating ogre, although it may scare kids, is actually quite amusing. Imagine if they did something similar in Indonesia with local folklore! Not only kids, but adults would find it frightening, I believe. Thanks so much, Bama – when I was there I did think about how much you would enjoy exploring the old city. I guess the dark-humored fountain is a bit like those statues of ogres and demons in Bali, although my impression is that the Balinese ones are a lot scarier! Beautifully told stories and great pictures! Thank you for sharing. Though I was born in one of the small European countries, I have never been to Switzerland. I undrestand now that this has to change and soon. I’ve never been to Switzerland James, only seen it’s Alps from the air enroute to Firenze last year. So this post gives me a good idea of Bern. I like the clock and and it’s inner workings, quite amazing. Also agree about the church spire, it is very similar to the one at Ulm (which also has a great beer). You’re welcome Ted. Thanks in turn for reading all the way through – combined with the number of photos, this post became much longer than I’d planned. Switzerland is very expensive, but then again there was nothing else I could find fault with. And I think Bern would tick all the right boxes for you: it’s not very big, the public transportation is excellent, and it’s easily walkable. Most points of interest are either inside or a stone’s throw from the historical center. 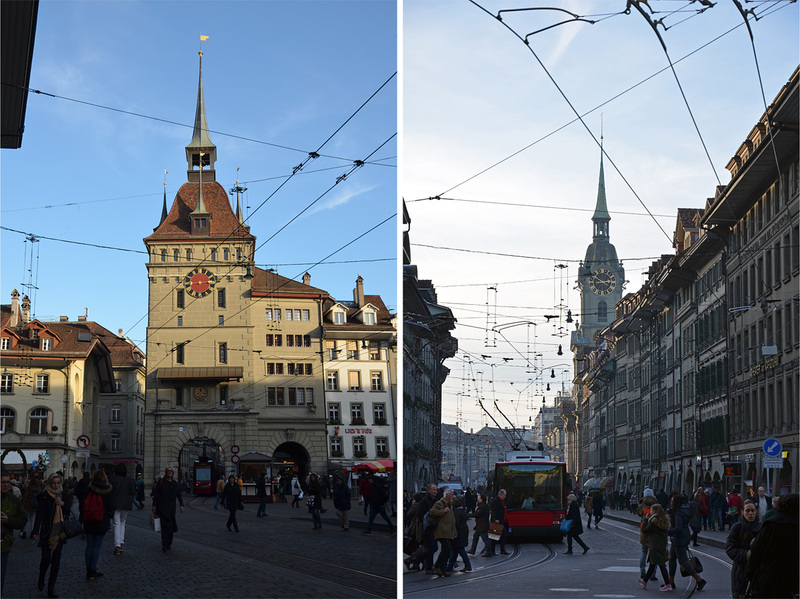 I think most travelers from Asia don’t go because Luzern/Lucerne is a lot more famous and also physically closer to Zurich, which is the main point of entry by air. What a lovely post! I’ve just started a travel blog and will definitely be taking tips from your site – it’s great! Thank you! Good luck with the blogging – it can become quite a commitment! It’s a lovely and very underrated place – do go if you get the chance! James…I’ve been offline for a while…just getting around to looking at what people have been up to, and I find you in Bern. Another insightful and interesting read. 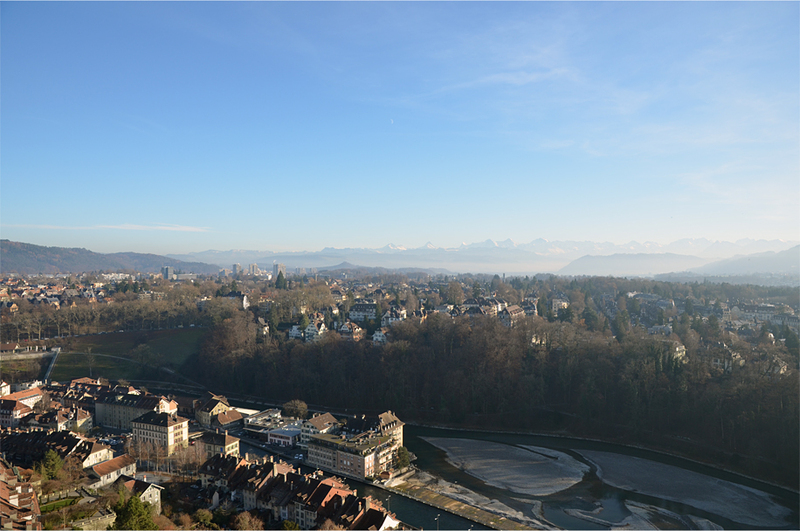 And thanks for taking me back to Bern. 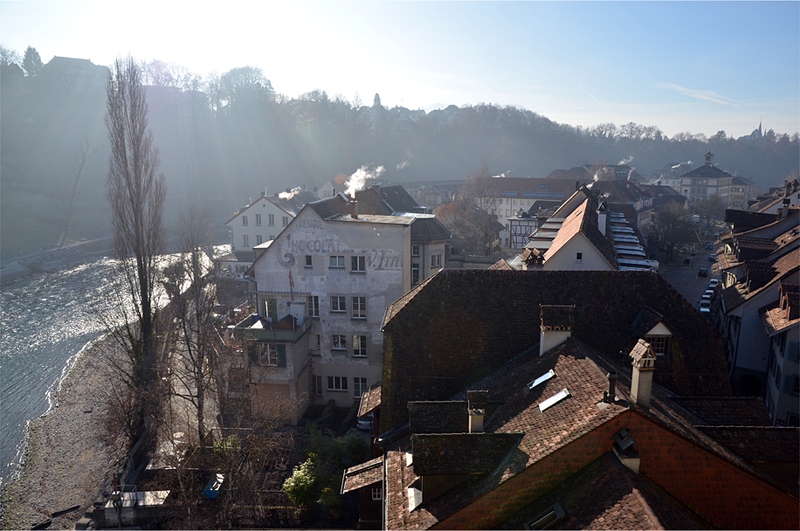 On my first out-of-country trip, I ran out of money in Bern, and the American Consulate found me a job in the Halwag Map Factory, where I made enough money to get to Luxembourg and my flight home. I remember looking down on some bears??? Is that a zoo…or am I dreaming that up? I remember those bridges over steep ravines! Same here, Badfish… I have been offline for months it seems! The demands of my new(ish) job mean I often have to work weekends… so there’s been hardly any time these days to blog. That is one awesome anecdote, but I’m not at all surprised it happened to you! When will you get around to writing a memoir or at least an account of all your adventures? The bear pit is still there, though they’ve extended this into a larger and more natural “bear park” with a pool. Makes keeping bears in captivity more humane, I guess.